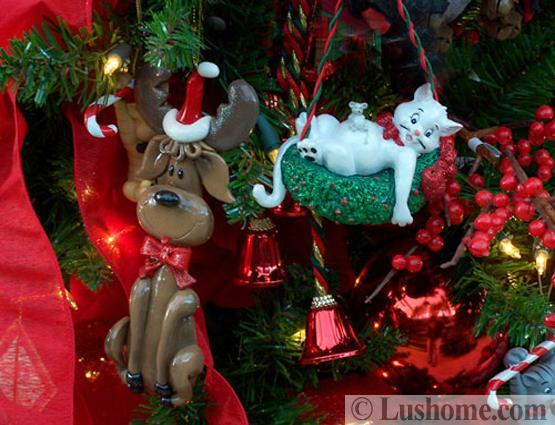 Modern Christmas trends offer numerous tree decorations for creative and beautiful winter holidays. 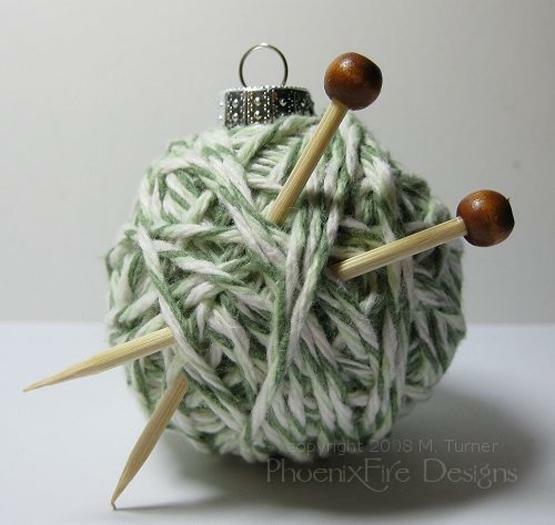 Traditional Christmas balls are timelessly elegant and symbolic. 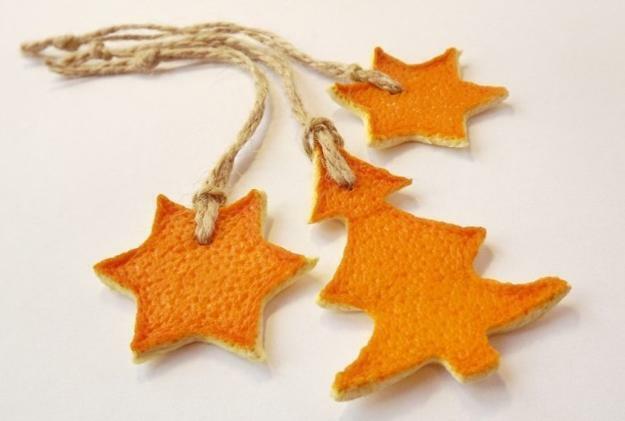 Crafts are an excellent way to soften holiday decor. 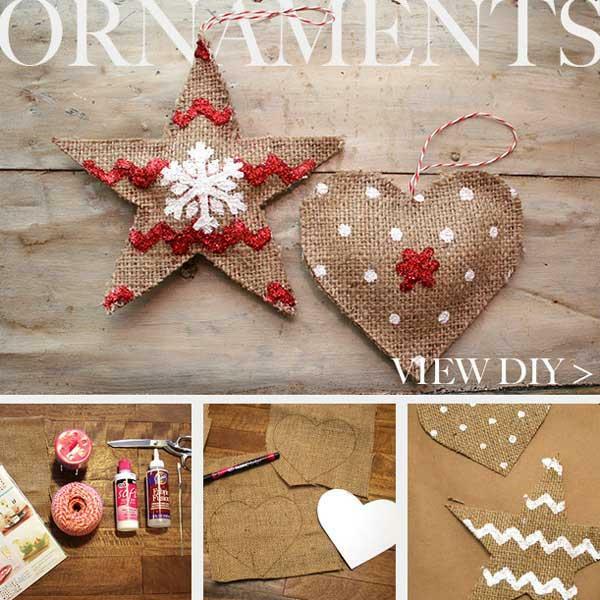 Handmade Christmas decorations and Green designs add a charming vibe of country home decorating to modern ideas and help set a relaxing atmosphere at home. 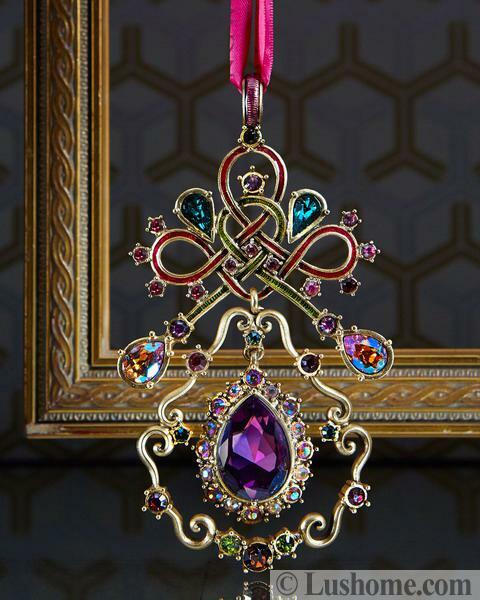 Recycling and creative designs, luxurious crystals and romantic feathers, handmade Christmas decorations and vintage ornaments, surprising ideas and unexpected materials combinations turning ordinary things into extraordinary ideas. Fun, resourcefulness, creativity, and beauty blend into charming, beautiful, and unique winter holiday decor. Recycling jeans is a perfect idea also. 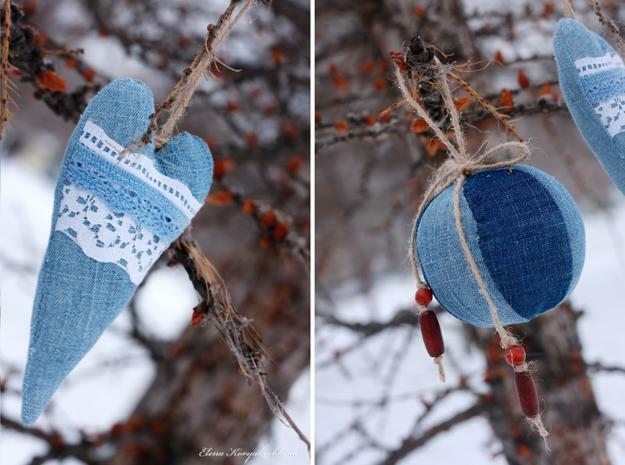 Made with organza fabrics and jeans holiday decorations are stylish this winter. Christmas stockings, miniature Christmas trees, hearts decorations, stars, candy canes, mittens, balls, and wreaths recycling old jeans are excellent handmade Christmas decorations that you can use after Christmas. Familiar blue colors and texture of the fabric create versatile and universally appealing home decorations that look original and modern. 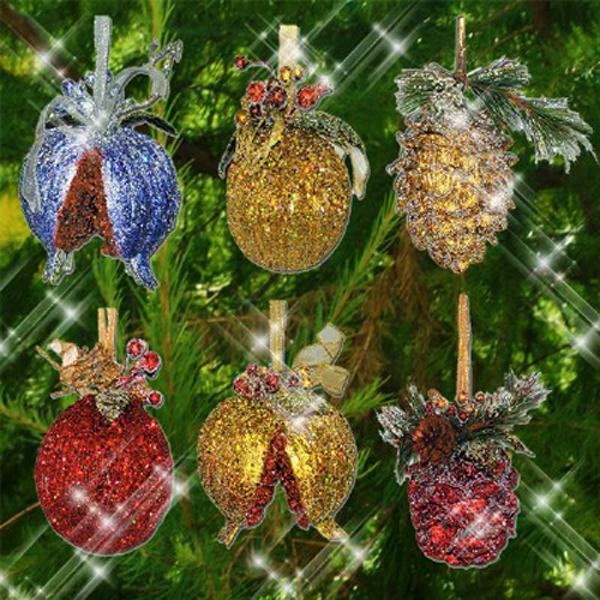 Holiday ornaments designed with organza fabrics and feathers are elegantly light, bright, and playful, perfect for Christmas tree decoration, winter holiday tables or festive winter decor. 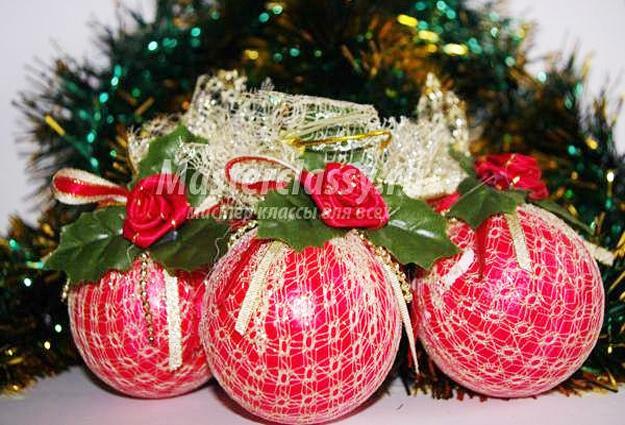 Wrapped in organza tennis balls make beautiful Christmas balls. 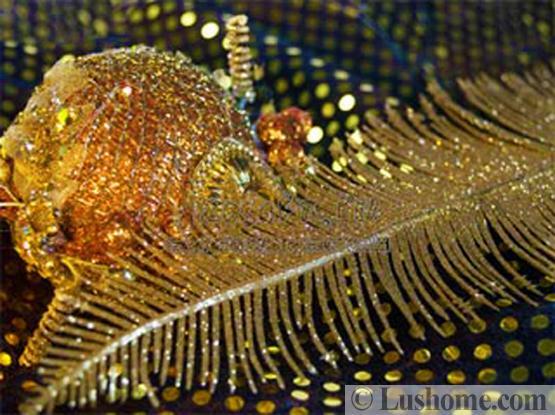 Butterflies decorations, pompoms, wreath bows, and miniature Christmas trees made with colorful organza fabric are modern trends in decorating for 2018 winter holidays. 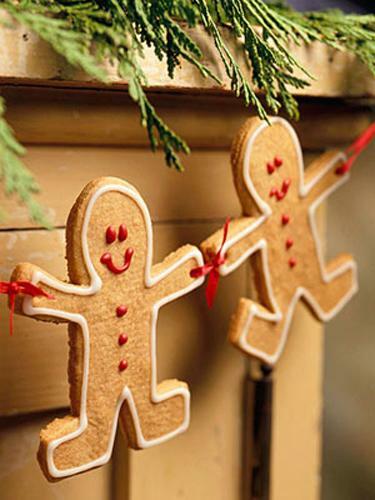 Recycling is an excellent idea for designing eco-friendly holiday decor. 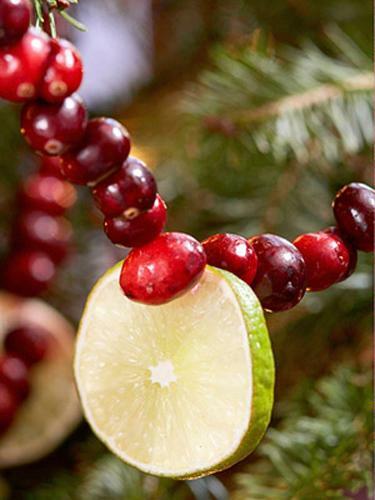 Winter holiday decorations created with natural materials and recycled crafts are modern trends in winter decorating. 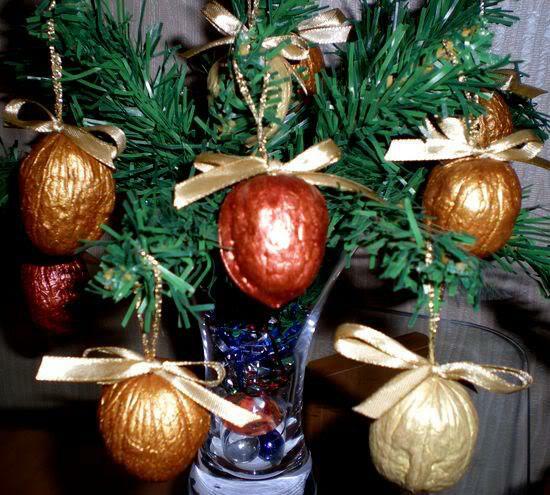 Miniature Christmas trees designed with paper, cardboard, wood or fabrics, ornaments made with wine corks, nut shells, recycling plastic bottles for decor or glass bulbs holiday decorations are modern trends in Green Christmas decorating. Miniature Christmas trees made with cookies, pineapples or candies, edible decorations for holiday tables, Christmas tree ornaments, garlands, and wall wreaths made with dried fruits, popcorn, noodles, berries, nuts are perfect for creative and inexpensive holiday decor. 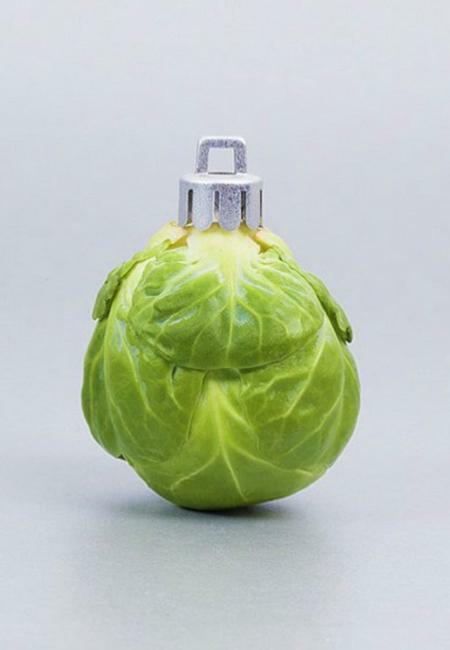 Brussel sprouts, tangerines, apples, cinnamon sticks, and hot peppers are modern ideas for Christmas tree decorating. 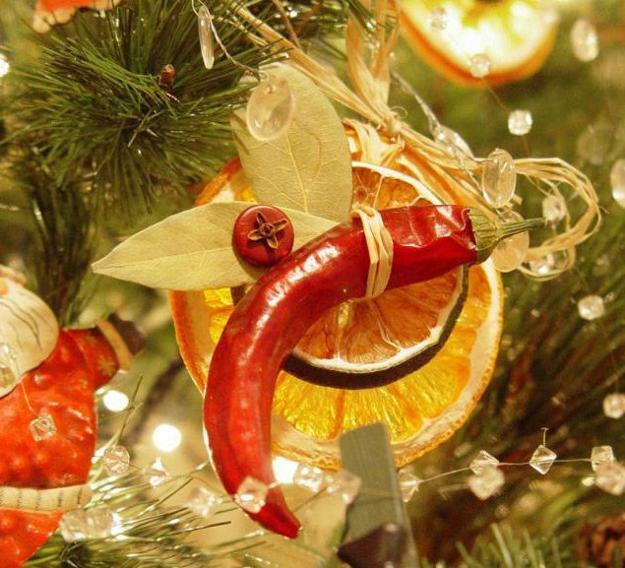 Traditional dried fruits and cinnamon sticks, as well as exotic herbs, bay leaves or hot peppers, make beautiful, bright, and original Christmas tree decorations that spiced up the winter holidays with delicious aromas. Traditional and original crafts offer fabulous, unique and modern ideas for home decorating. Felt fabrics, yarn balls, beautiful beads, and colorful buttons are excellent materials for making unique designs. 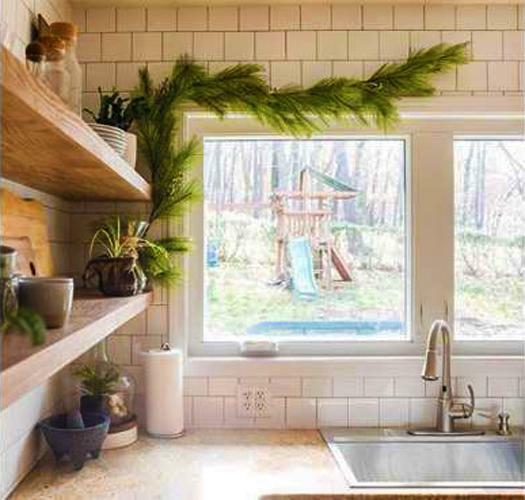 A fantastic combination of winter branches and gracious glass Christmas balls or elegant Christmas ornaments in vintage style is one of the most beautiful trends in decorating that connects generations and marries the eco-style with luxury. Christmas tree decorations with colored crystal details look chic, bringing bright designs and classy elegance to holiday decor. 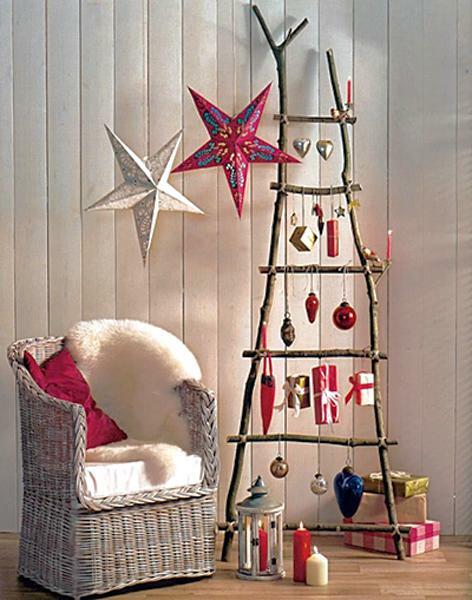 Miniature Christmas trees designed with feathers and delicate ornaments with fur accents look charming. 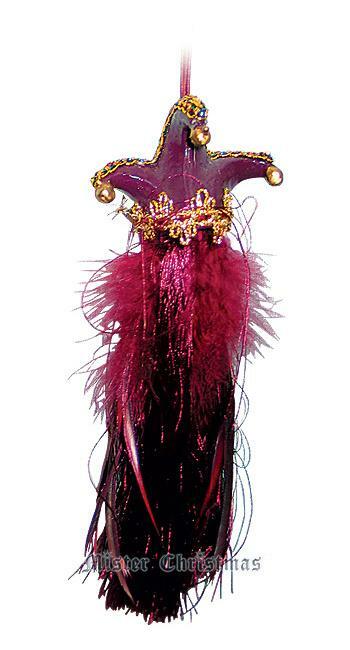 Colorful feathers and fur make beautiful, elegant, exclusive decorations which add a chic touch to winter holiday decor. Dog toys are symbolic holiday decorations for New Year Eve and winter celebrations 2018. 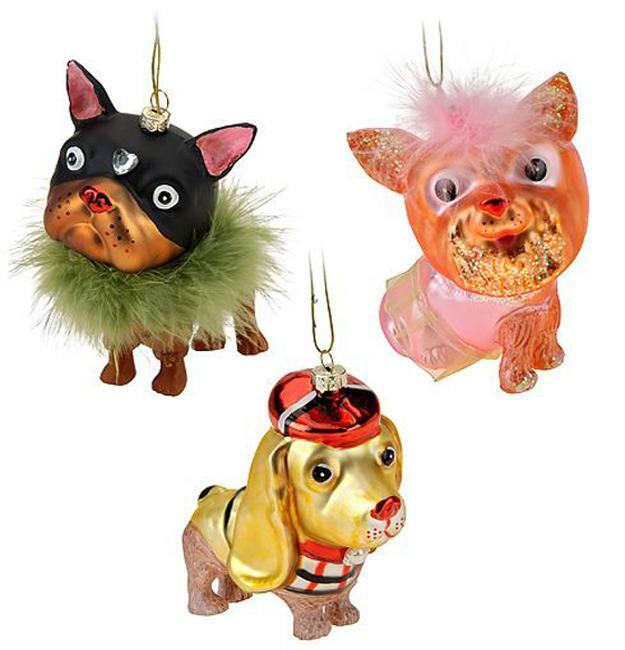 Balls with dogs, glass dog ornaments, candles and figurines, soft toys, stockings and socks with dogs images, cardboard designs and paper crafts in dogs shapes are excellent for making garlands and spicing up table centerpieces to celebrate in the coming year. 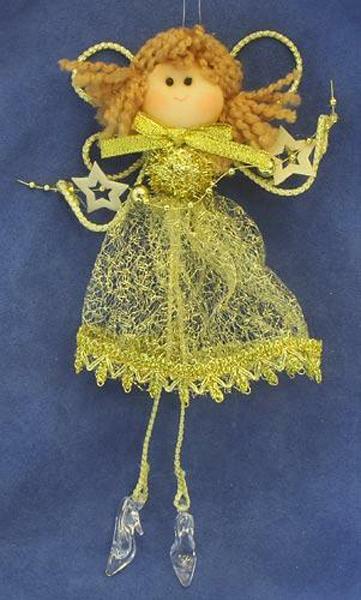 Embroidery, wood or fabric crafts and drawings make beautiful holiday decorations also. Yellow and golden colors, beige and light brown color shades are perfect for home decorating in 2018, the Year of the Dog.